Bio Oil – A Must Have! If you have scars, blemishes, stretchmarks or just accident prone like me Bio Oil is the product for you, as it helps to reduce the appearance of scars if used daily on a regular basis. I started using it about 3 years ago after a trip to Jamaica which left me covered in mosquito bites that had scarred my skin and after using it for a couple of months my scars faded. Ever since then I have been using Bio Oil due to the fact that I am so accident prone that I am forever scarring my skin which is so visible on my “yellow” skin. My recent addition to my scars happened when I some how managed to put my curling tongs on my bare legs (very dumb I know!!). Patience is needed when using this product as it definitely takes a while before you start to notice your scars fading but please note it does not completely get rid of scars. 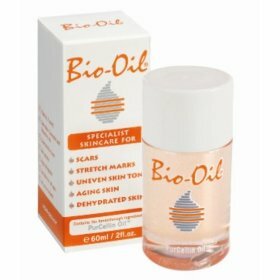 Despite the fact that Bio Oil doesnt get rid of my scars this is a must have product for me as it does dramatically reduce the apearance of my scars. I also find that it works well the earlier you use it on your scars i.e. on newer ones and try to use it at least twice daily. The only negative about Bio Oil is the price as it is quite expensive ranging from about £9 – £20 depending on the size. I love this product too guys!!! I've been told I have "Sweet blood" too lol which is why the mosquitos were always biting me & not my friend. I was even told not to wear perfume so that I dont attract them but I couldn't do that lol. I love bio oil. I remember I had a scar on my leg from dropping melted plastic on it (long story and a dumb oone too), and after using bio oil, I barely notice it.